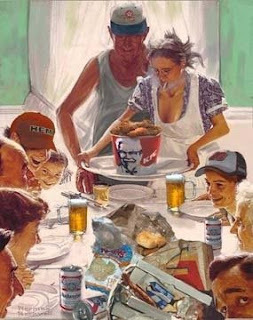 Happy Thanksgiving to all, and to all, a great day of feeding your faces. GET SOME EA! Girl’s gotta eat, even if it’s on TV. But even with her scarfing down what looks like your typical foot-long hoagie(? ), well, we still love EA for simply standing somewhat close to the WSU flag. 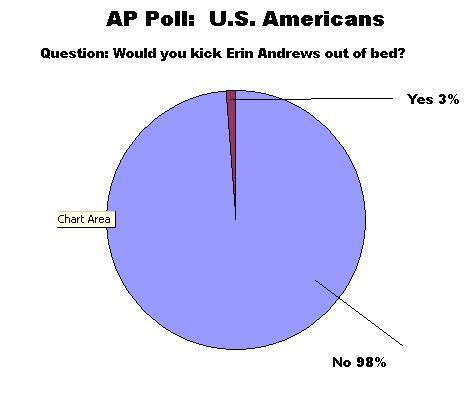 Not sure how a poll can be 98% – 3%, but whatever. Close enough. It is what it is (fake). Oh, and we wish our friends in Oklahoma City a very happy T-Day. You know, Oklahoma City? The “major league” town that now boos their beloved, hijacked, 1-win OKC Thunder? Have a bucket of KFC with extra skin and a nice warm Bud on us. 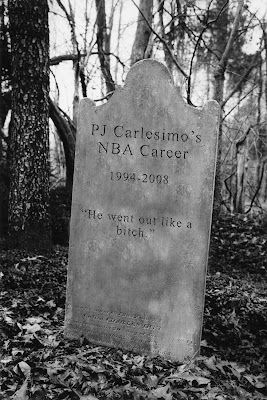 But at least they won’t have PJ Carlesimo to kick around anymore. Moving on, Hawaii. Thought it might be a good idea to think about this week’s game and try to put last week behind us(in honor of Ted Miller, a 16-13 win)…..hard as that is to do. We remember Hawaii from their unbeaten season in 2007 and Sugar Bowl wipe-out vs. UGA. We remember yards and points from Colt Brennan and all those WR’s in the run-n-shoot. But what do we know about Hawaii in 2008? After starting off a rough 1-3, including blowout losses at Florida, Oregon State and a tight one at home vs. San Jose State, they have circled the wagons a bit. Maybe not in the Oregon State style of circling the wagons, but still, they’ve been tough. Hawaii is 5-2 in their last seven games, including a win over then-#22 Fresno State to kick off their current seven-game stretch. What’s weird with Hawaii is how they are winning. It certainly isn’t how it used to be, which was overwhelming yards and points through the air. Right now they are averaging 25 points and 364 yards of total offense per game. Not bad, but a far cry from 2007’s 43 points and an amazing 512 yards per game. But however it’s happening, they are still getting it done in the WAC. QB Inoki Funaki is/was their leading passer. I say is/was because he’s not the starter anymore. Ever since a 5-INT game vs. Boise State last month, his PT has been slowly disappearing in favor of JC transfer Greg Alexander. Alexander was a big-time QB recruit out of Santa Rosa, CA, setting a national JC record with 71 TD passes in two seasons. Good size at 6-3, 230, and a decent arm, he’s been very good since taking over after Funaki’s 5-pick disaster in Boise. Hawaii is 3-1 in their last four games with Alexander getting the majority of the action. After throwing two INT’s in the season-opening blowout at Florida, Alexander has an 8-0 TD/INT ratio in just his last four games. Even better, he’s now at 118 consecutive pass attempts without an interception. Sure sounds like the right fit in the run-n-shoot. But Hawaii has had a weird year at 6-5. Included in some of their losses were the early-season home game vs. San Jose State, as well as a 30-14 loss at Utah State. Not to poke fun at Utah State……they’ve been a regular in the ESPN Bottom Ten with….uh…..WSU…..but that loss was a head-scratcher. Anyway, Hawaii is still a winning program looking for another bowl game. Greg McMackin only had four starters coming back on each side of the ball for ’08, yet they’ve been able to keep their heads above water. You have to respect how they turned things around after starting 1-3. They could have easily started to gripe about not having June Jones, but when smacked with adversity, the switch went on. And this is a program that is used to winning. Hawaii’s been to five bowls in the last six seasons, and a win over WSU will clinch another bid for 2008. You know they’ll come out firing. That’s it for today. We’ll get more into it as we hit full preview mode for Football Friday. ENJOY YOUR THANKSGIVING, and GO COUGS! You are currently browsing the archives for the Greg Alexander category.